With its boxy looks and irreverent hamster pitchmen, the 2013 Kia Soul is proud of its status as a funky alternative to low-cost economy cars. Those who embrace the Soul's youthful design will find a well-equipped, surprisingly roomy hauler that offers good fuel economy and fits just about anywhere. Spacious car with ample room for road trips and great gas mileage. The pros of having my Kia Soul has definitely been the space, smoothness of drive, and the height. The amount of space this car has gives me the room to travel with my dog, cat, and a couple of people comfortably. The height of my car is a lot more comfortable to me than getting in and out of a standard car. I no longer have to get really far down to get into a car and it has helped my back tremendously. I find this car to be a very smooth drive with the only exceptions being railroad tracks and medium to large size bumps. It also takes sharper turns which sometimes could be a bad thing because the car does have a warning for tipping during turns. The back windows are very tinted which I find to be a safety feature because I no longer have the fear of having to cover my stuff up in the trunk or back seat because people will see it. The seat head rests are the only con I see to my seats because sometimes they are uncomfortable if I have my hair up or if I want to rest my head against them. They feel like they are at an awkward angle. The back seats are extremely comfortable. There was a time I had to sleep in my back seat and it was almost as comfortable as my bed if not more comfortable. The steering wheel does move which is a bonus. I find my car heats up and cools down extremely fast. I would say within two minutes I am at the perfect temp. My trunk fits two suitcases side by side. I get 28 mpg city and have gotten up to 42 on road trips on the highway. With current gas prices I pay around $28 to fill my tank and I get 336 miles. 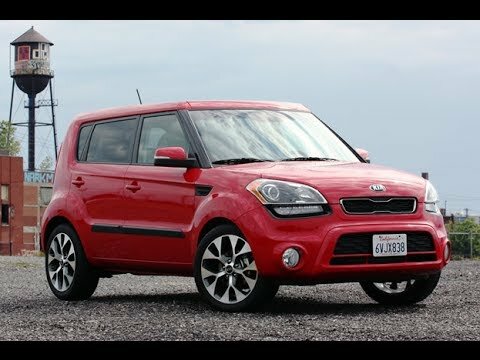 Pros and cons for a Kia Soul basic edition. I have only had minor problems with my car. For one the battery dies quickly than what it should last. I have had my car for about five years and I already bought a battery twice. The performance on a Kia Soul is amazing and it fits almost anywhere. I never have a problem parking anywhere that may be small to the eye. I have a very economical parking spot in my apartment complex and my car fits just right. It is very reliable and so economical financially also. When the gas prices are at a fair price in a small town I only spend up to $20 every two weeks. When the gas price average is at its highest I spend $30 every two weeks. It is super comfortable for the driver as well as for the other passengers. It may look small from the outside, but it fits more than you think. I have had numerous family members take a ride in the back and say, “wow this is bigger than what it looks like. ” there is two problems I have. One I cannot replace the antenna myself because I would have to remove all top interior to get the main area where I must screw in a new antenna base. Secondly, my bottom area of the truck on a basic Kia Soul does not have enough room for a spare tire. I would of like to upgrade to a pro so I could get a touch screen radio and what not. However, all of these upgrade options are still open for this car. My Soul is super reliable. This car is very reliable. I have had no mechanical issues whatsoever. My Kia Soul has 155, 000 + miles. Other than regular maintenance, it has only required a brake job which was about 3, 000 miles ago. My Soul is standard 6 speed transmission which I enjoy driving. It generally gets about 30 mpg and I do a lot of highway driving. Unfortunately, my particular model does not have roof mounting points in which to install cross bars for placing a roof rack. This was disappointing when I had renewed interest in camping and wanted storage to free up space within the car. I just purchased new tires and one tire had 49, 000 + miles on it and that is without being rotated. Oops my bad. My Soul has never required an alignment. I replaced the original battery about 3 months ago. The ride is a little bumpy at times and I wish there was a bit more room to place personal items in driver area. It has Bluetooth for handsfree talking. The rear seats fold down to accommodate larger items if needed. It has overall been a really great car.